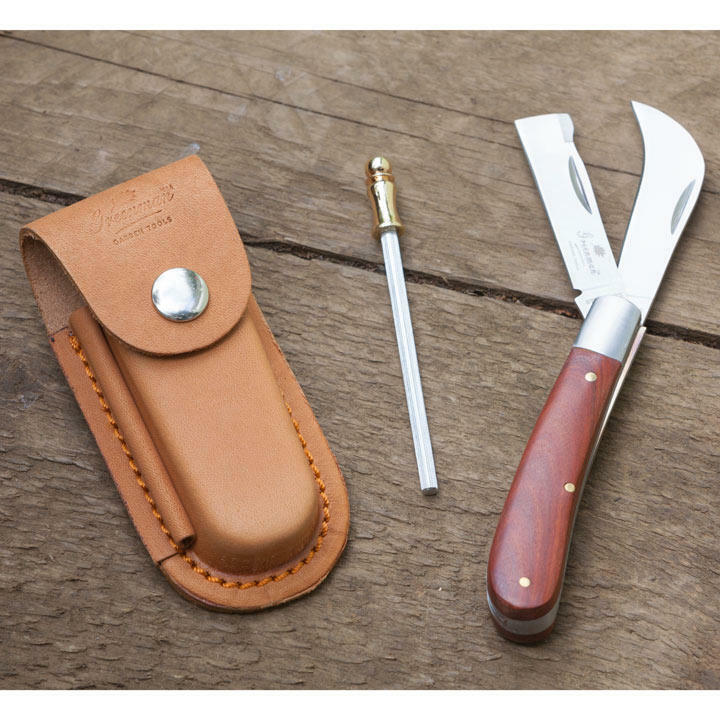 The two traditional style grafting and pruning blades are made with top quality stainless steel, offering a stylish and practical solution to carrying more than one knife in the garden. The grafting blade features a straight blade with a sharpened bark lifter in the top edge whilst the pruning knife is made in the classic parrot beak style. 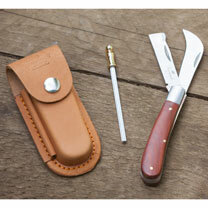 Weight 178g, budding knife 7cm (2¾") x 2cm (¾"), grafting knife 7cm (2¾") x 1.5cm (½"). Overall length 17cm (6¾").